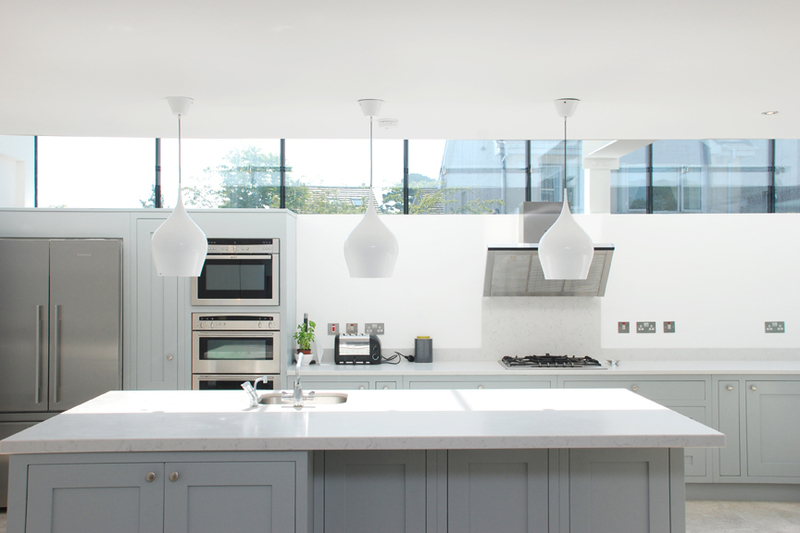 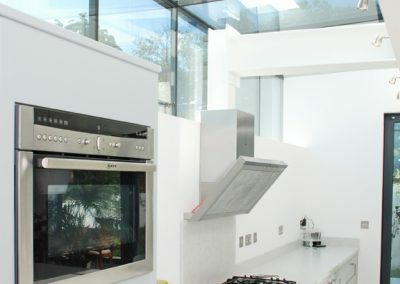 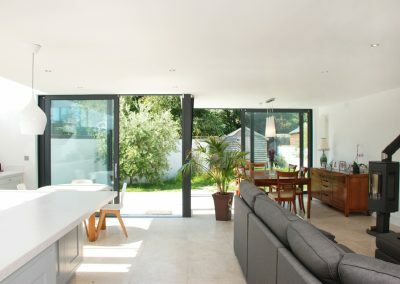 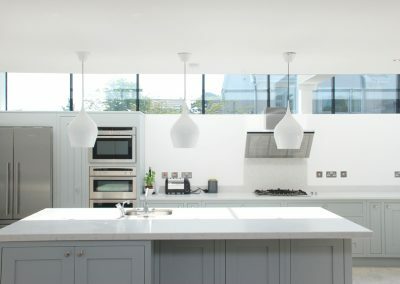 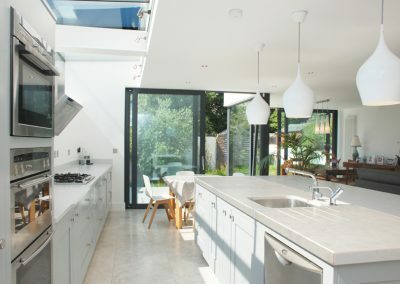 The project brief was to renovate and extend the existing house and to provide a high quality open plan living space for the clients growing family. 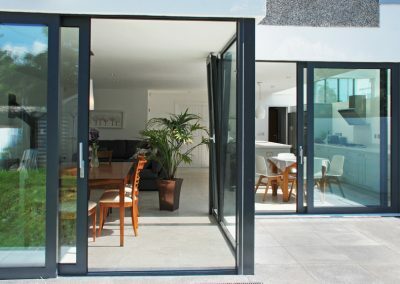 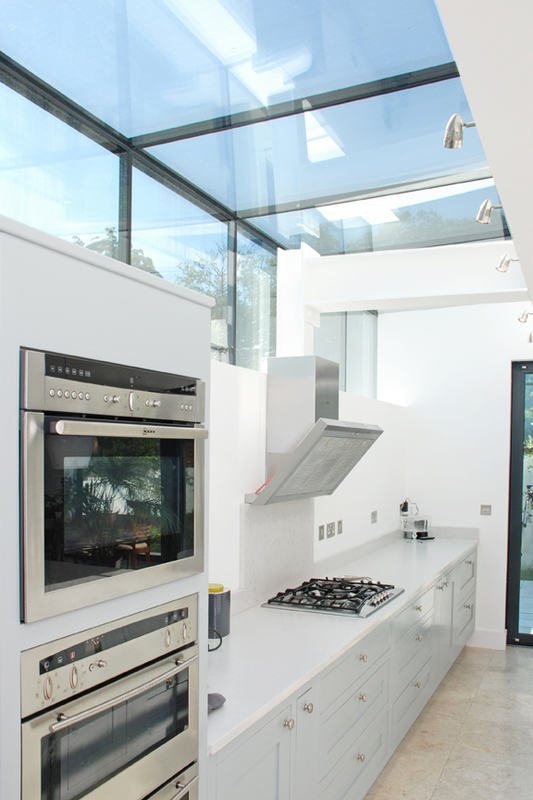 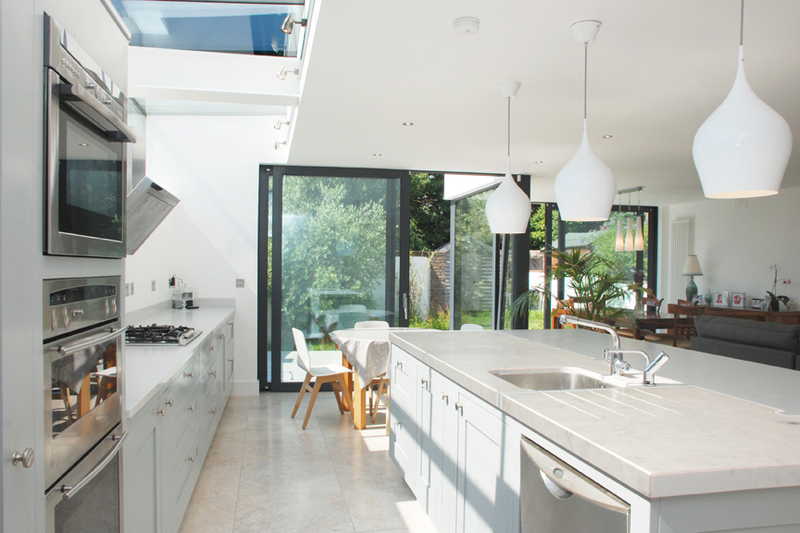 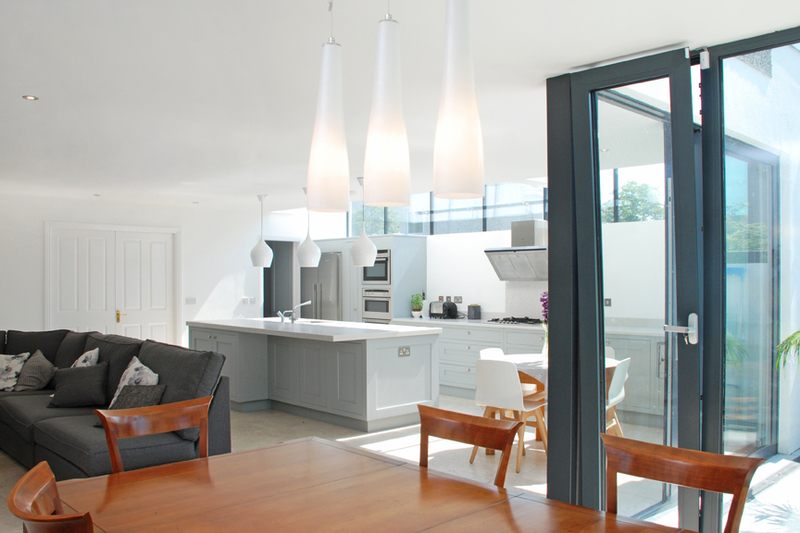 A contemporary extension was designed to provide a flexible and bright living space. 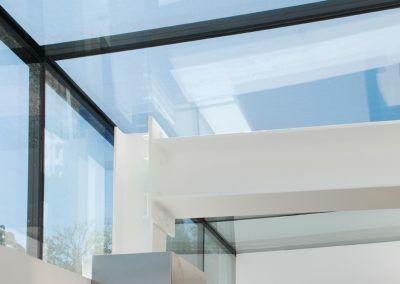 The glazing detail to the east pulls morning light into the space while the roof glazing element to it visually “lifts” the space. 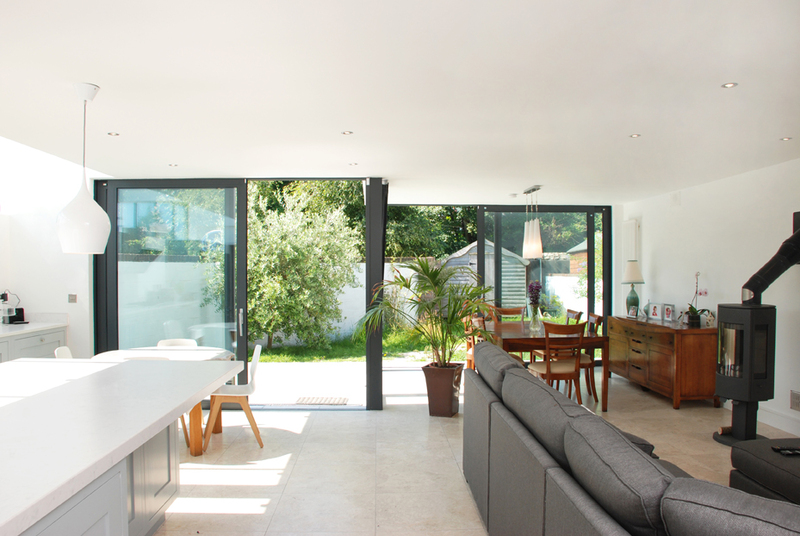 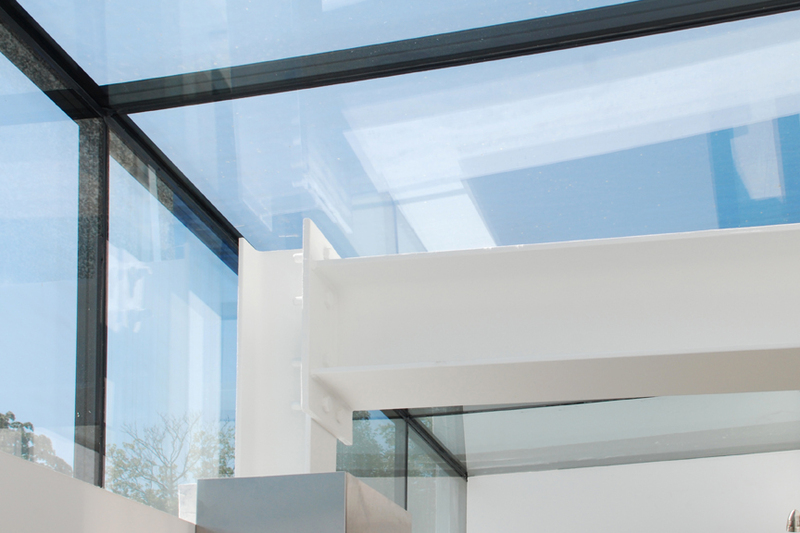 The ground floor extension has been designed to integrate the inside and outside spaces. 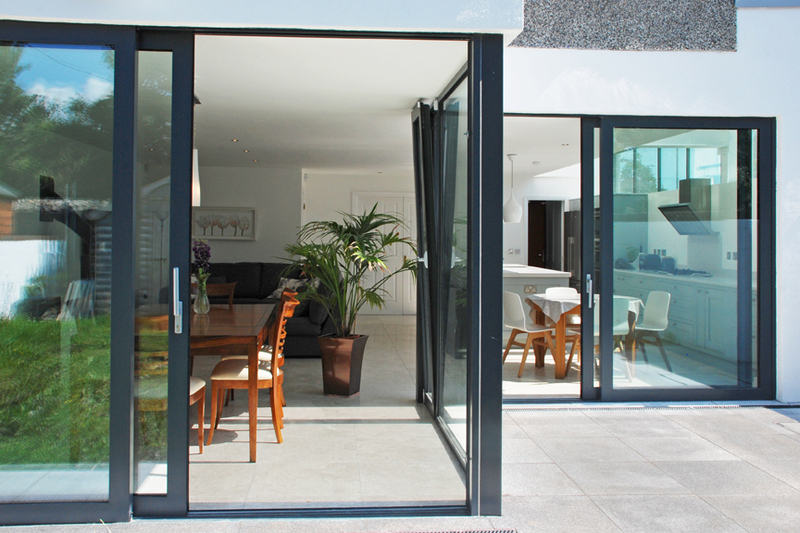 A large amount of glazing is used to create a relationship with the garden outside. 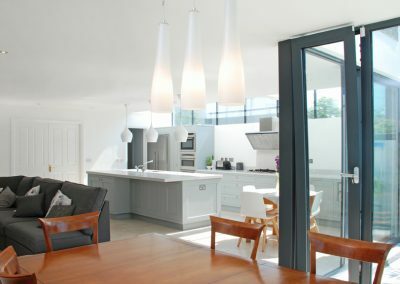 Through clever design the space created feels a lot more generous than its footprint suggests.